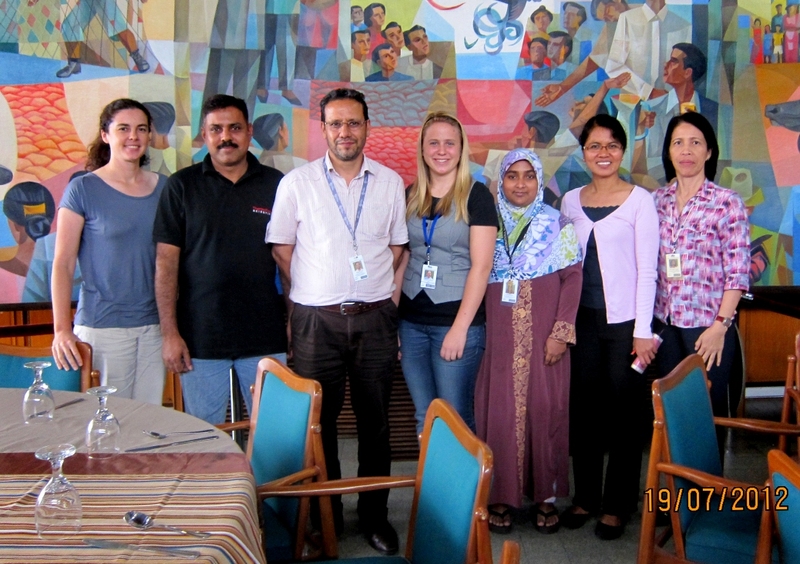 Parminder Virk (third from left) is a scientist in plant breeding at IRRI. Parminder Virk, plant breeder at IRRI, was the guest scientist in the Young Researchers Lunch for July. Dr. Virk led a very informative discussion on topics related to breeding for yield potential, such as target genes for marker-assisted selection, yield potential traits, and aspects of variety release. He encouraged the young researchers to stick to the task and dedicate at least 5-10 years in plant breeding, because that is the amount of time needed for one to see the results of one's work and have an impact. Lunch attendees were Crisanta Bueno, Hasina Begum, Michaela Hoffelmeyer, Tahir Awan, and Ma. Rebecca Laza. The Young Researchers Lunch is a monthly meeting for scientists who are in the early stages of their careers. The purpose is to provide an opportunity for discussion with senior scientists on a range of topics that including research and career paths. 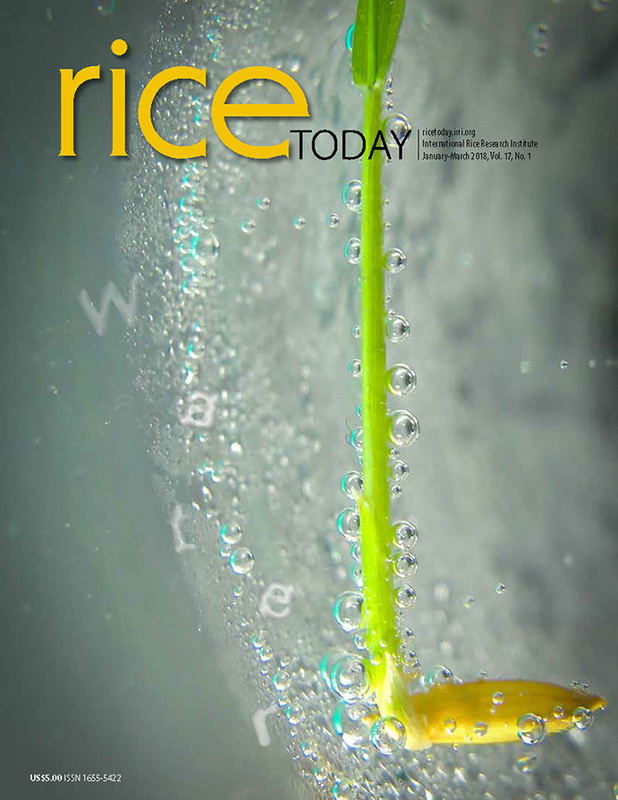 For more information, please contact Joy Sagabay (M.Sagabay@cgiar.org) or Amelia Henry (A.Henry@cgiar.org). :-) Check back again soon.